Date night for Mom and Dad, night out for the kiddos - what's not to love about Saturday Night Live!? For ages 7-12, the SNL...for kids only! 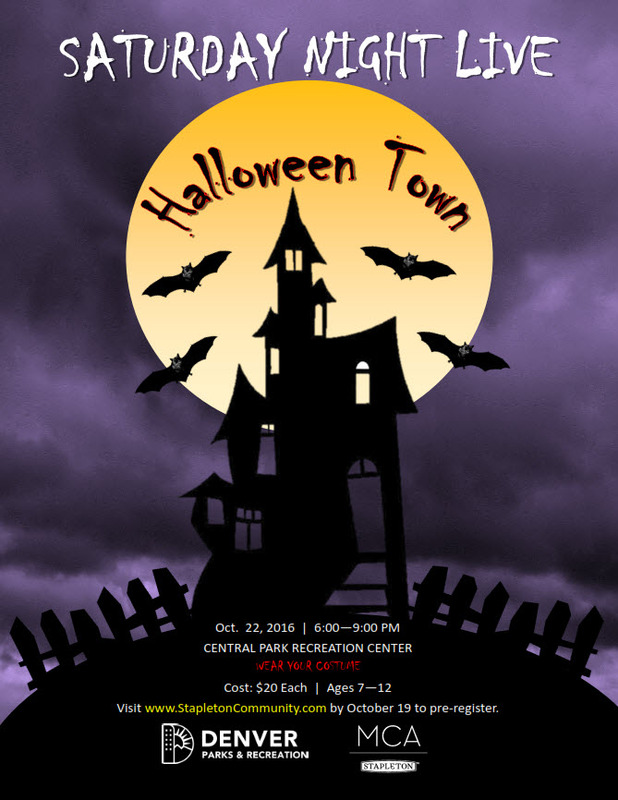 nights cost $20 per kid, are held at the Central Park Rec Center (9651 Martin Luther King Jr. 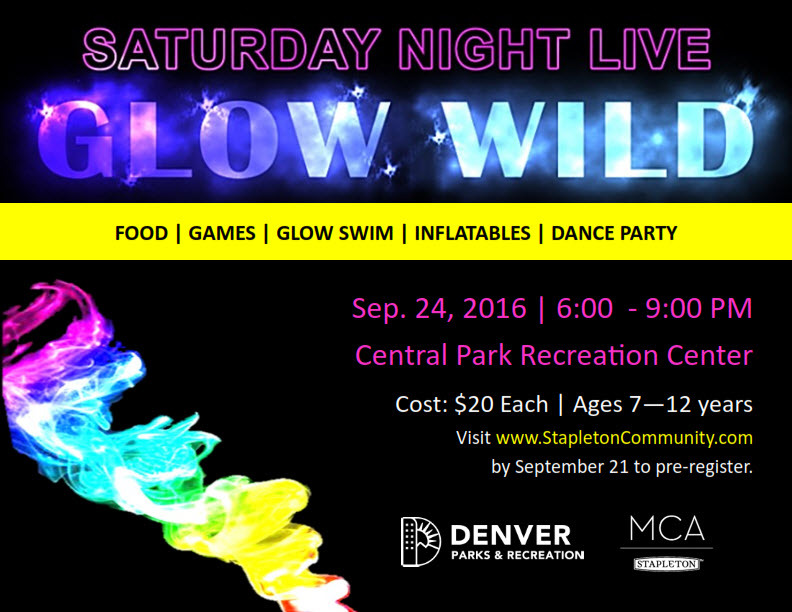 Blvd., Denver, CO 80238), and run from 6:00-9:00 p.m.
On September 24 the theme is Glow Wild, featuring food, games, a glow swim, inflatables, and a dance party. Parents visit www.stapletoncommunity.com to register by September 21. On October 22, it's a Halloween theme - wear your costume and prepare to get your spooky on! Parents visit www.stapletoncommunity.com to register by October 19.